It was the best of times. It was about time. Victoria Abril declared, “the award was not a moment too soon.” This is the first time the Cannes Film Festival has honored the work of a cinematographer. 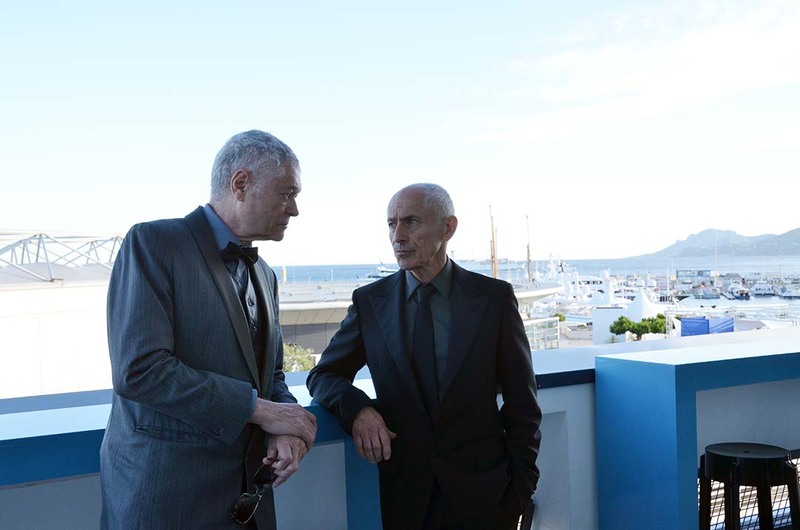 The first annual Pierre Angenieux Award for Cinematography at Cannes was presented Friday, May 24, to Philippe Rousselot, ASC, AFC by Angénieux President and CEO Pierre Andurand, Festival Officials Gilles Jacob and Thierry Fremaux, and a line-up of actors who worked with, and adore, Mr. Rousselot. 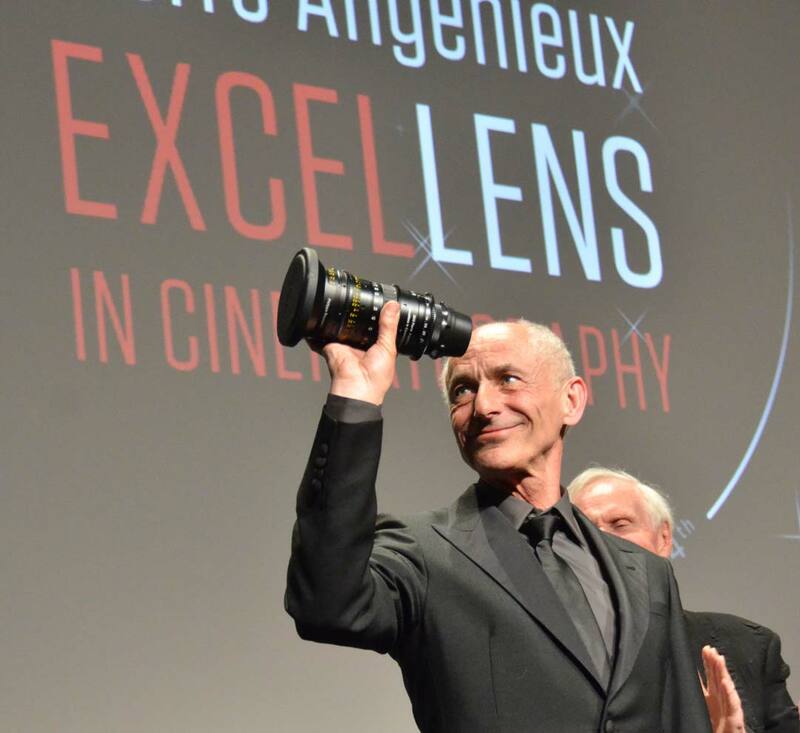 Named in honor of Angénieux founder Pierre Angénieux, the award was not the usual festival statuette, but a pristine, genuine 28-78 Optimo Zoom with custom engraving and inscription. 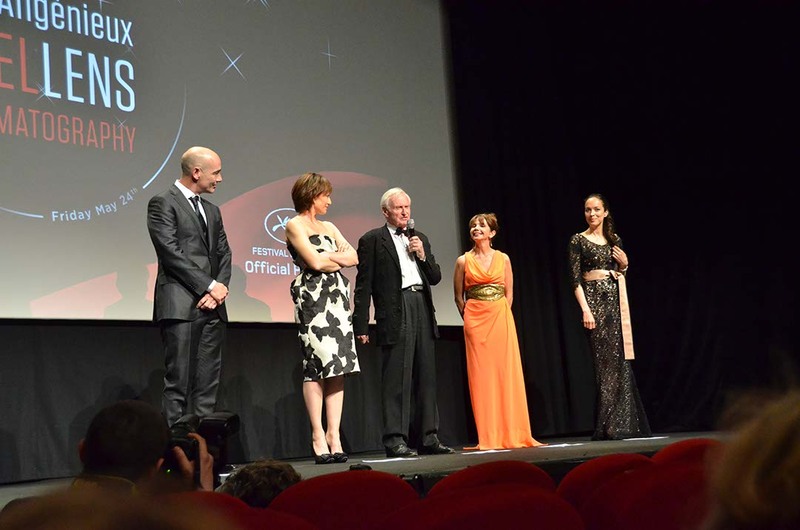 Several years in planning, the annual award marks Angénieux’s sponsorship of the Cannes festival–appreciated in a way similar to the great good will generated by their support of Film and Digital Times. Philippe Rousselot won an Oscar for Best Cinematography on A River Runs Through It. His credits include Sherlock Holmes, Charlie and the Chocolate Factory, Dangerous Liaisons, and Emerald Forest. Victoria Abril starred in Moon in the Gutter (’83), shot in Panavision anamorphic by Rousselot with Jean-Jacques Beineix as director. John Boorman directed Hope and Glory (’87) and Emerald Forest (’85), shot by Rousselot. “He never raised his voice on set or difficult locations — and always got the job done very well,” Boorman told me during an interview. “I never looked better than when I did a film with Philippe (Random Hearts, 1999), and I doubt whether I have looked as good since,” said Kristin Scott Thomas. L-R: Pierre-William Glenn, AFC, President of CST, with Philippe Rousselot, ASC, AFC.